Home health health news story worldhealthinfo No Matter What’s Happening in Your Life Right Now, You Must Read This Short Story !!! 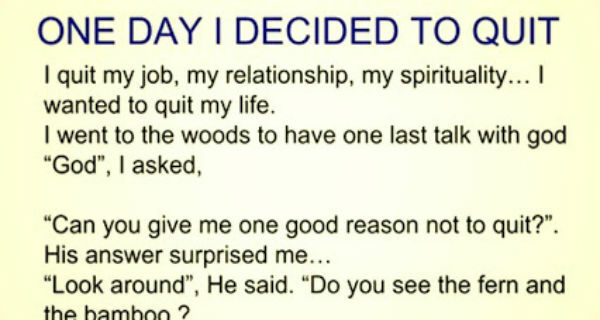 No Matter What’s Happening in Your Life Right Now, You Must Read This Short Story !!! “Don’t compare yourself to others.” He said.”The bamboo had a different Purpose than the fern. Yet they both make the forest beautiful.” “Your time will come”, God said to me.